We are situated at the rear of the White Horse Inn, Sweffling - which is on the B1119 about halfway between Saxmundham and Framlingham. 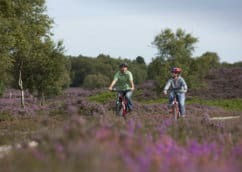 Cycling in the area is a real pleasure, and you can reach towns such as Framlingham (4 miles), Saxmundham (3 miles) or the coast (10 miles) easily by bike. 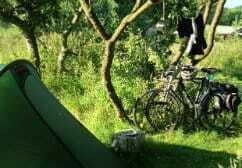 We offer free bike hire (plus helments and hi-viz jackets) and use of maps for all guests. 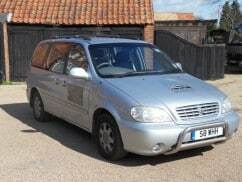 Our local taxi firm, Hart Cars (01728 602009), offer substantially discounted rates for Alde Garden guests. There is also a great 'on-demand' bus service for planned excursions - see below for more details. Saxmundham station is just 3 miles from here, and is on the London/Ipswich to Lowestoft railway line. 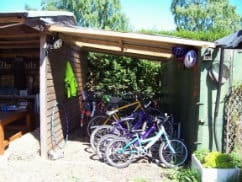 To encourage guests to try a car-free holiday, we offer a free taxi to and from Saxmundham station (tent pitch bookings excluded) - please give at least 24 hours' notice of your train's arrival times. 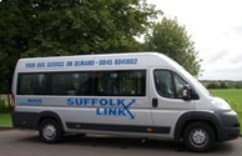 We have a very good 'on-demand' bus service covering a large part of the surrounding area, to connect with existing bus & train services as well as neighbouring towns & villages not served by public transport. The service can pick you up and drop you off anywhere within the area covered, anytime between 7am & 7pm. Bookings must be made in advance - call 0845 604 1802 or go to Suffolk Links for more information. According to one of our guests booking is "incredibly easy, and the customer service is excellent!". There are a whole host of good local taxi firms to choose from - two of our favourites are Hart Cars (01728 602009) and Torrens Cars (07532 044085). PLEASE NOTE - taxis need to be booked well in advance, especially at busy times (school run/evening) so please plan ahead & give the taxi firm as much notice as possible. take the A12 towards Ipswich. Stay on the A12 past the 1st turning to Saxmundham, and you'll come to a staggered junction for the B1119. Turn right onto this road, signposted Rendham & Framlingham (also with a brown tourist sign for ‘Carlton Meres’), and follow the road through Rendham you'll pass the other White Horse Inn (in Rendham) on the right, and Rendham church on your left - you are only half a mile away now. Stay on the road as it bends to the right and you'll see a 20mph sign. The Sweffling White Horse is just past this sign, on the right hand side as the road bends round to the left. Turn right just before the pub and you will find the car park and the entrance to Alde Garden. take the A12 towards Lowestoft. Stay on the A12 past the 1st turning to Saxmundham, and you'll come to a staggered junction for the B1119. Turn left onto this road, signposted Rendham & Framlingham (also with a brown tourist sign for ‘Carlton Meres’), and follow the road through Rendham you'll pass the other White Horse Inn (in Rendham) on the right, and Rendham church on your left - you are only half a mile away now. Stay on the road as it bends to the right and you'll see a 20mph sign. The Sweffling White Horse is just past this sign, on the right hand side as the road bends round to the left. Turn right just before the pub and you will find the car park and the entrance to Alde Garden. 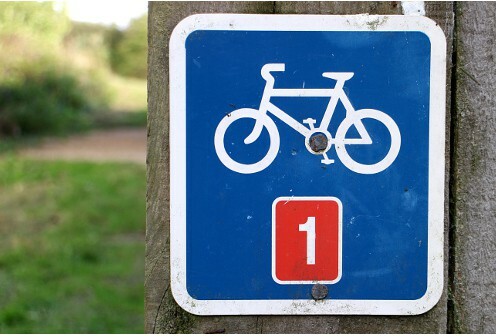 Take the B1120 (signposted Framlingham) and follow the road all the way to Framlingham. At the end of the road turn left onto the B1119 (signposted Saxmundham) and follow the road. After approx 4 miles you will pass the Sweffling village sign and then after another half a mile you'll see a 20mph sign, where the road takes a sharp 'S' bend. After the 2nd sharp left bend the Sweffling White Horse is immediately on the left. Take the left hand turn just after the Inn and you'll find the car park and the entrance to Alde Garden. Please note - we are on the outskirts, not within the village of Sweffling. Please ignore signs for Sweffling from the A12 as these will take you along narrow roads to the village itself - the routes shown above are more direct.